The 8th of November was a significant date for Georgian Qvevri wine in the UK - It was the night of the first Qvevri Wine Festival in London. In this short post we will share the story of the evening. 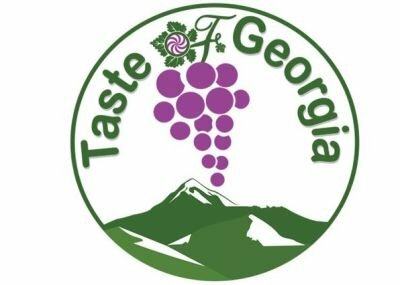 We are passionate Georgian wine importers and we want to share traditional wine from Georgia with the UK. There have been a few tastings in which Georgian wine was present and a number of members-only events. However, our wish was for a Qvevri wine event that was open to the public. This is how the London Qvevri Wine Festival was born. Georgian culture is deep rooted and historic, and so we knew that it was impossible to host a Qvevri wine event without the other elements that make Georgia what it is today present. Namely, Georgian food, music, dance and literature. As time ticked on, we gained more elements to our story, until a few weeks before the event we were complete. Running up to the event we had no idea how popular the event would be. It was so rewarding to see the tickets sell on Eventbrite and by the end we sold over 120 tickets. A remarkable achievement for Georgian Qvevri Wine. Once the doors opened guests quickly filled the venue and as one would expect of a London based event, an eclectic mix of wine enthusiasts, lovers of Georgia and those who had previously heard little or nothing of Georgia, it’s wines or customs. Sarah Abbott, Master of Wine followed on from David’s introduction giving a fascinating insight into Georgia and its Qvevri winemaking practices. Sarah told the audience how she first came to fall in love with Georgia with its vibrant culture and traditions and how she now, engaged by the Georgian National Wine Agency, works to promote Georgian Wine in the UK. Following on from the presentation the guests enjoyed tasting 19 different Qvevri wines from 4 tables, 3 hosted by importers of Georgian wine to the UK - Taste of Georgia, gvinoUK and 8000 Vintages; the 4th by the UK producer of Qvevri wine Artisan Cru. The hosts were kept very busy with those eager to taste, many for the first time, the wide range of Qvevri wines on offer and to learn more about the production methods. Guests could also buy bottles of their favourite selections. It is a measure of the success of this first small event and to the high quality of the wines themselves that so many wines were bought to take away and larger orders placed for home delivery. According to Georgian tradition one should not drink wine without it being an accompaniment for food and as Georgia is the crossroads for the Silk Road, its cuisine features elements from the East and Far East mixed with Western style influences can be found too. London based Georgian food catering company Walnut & Spice provided guests with delicious Georgian food to be paired with the Qvevri wines. Also, in keeping with Georgian tradition the food kept on coming ensuring every guest had the chance to try and enjoy the Georgian food experience until full. The guests had the additional bonus treat of being able to meet the extremely charismatic Carla Capalbo, the award-winning food and wine writer and photographer with her exquisite books 'Tasting Georgia' and 'Georgian Khachapuri and Filled Breads'. Carla graciously attended to sign copies of her books purchased at the event. Also, on-hand to answer questions at the festival was the winemaker Giorgi Natenadze who produces unique wines from Meskheti in south-west of Georgia. Giorgi flew in from Georgia just to attend the event. Georgians gathering for a Supra or feast where wine and food are served would rarely pass without traditional Georgian dance being performed and this event was no exception. Festival guests had this fantastic opportunity to see a performance by beautiful dancers dressed in traditional costumes from London based Georgian dance group Pesvebi with dance Kartuli – simply meaning Georgian… and of course no supra could pass without the unique renditions of Georgian polyphonic songs. Amongst the guest were members of Choir Maspindzeli needed no prompting to seize the opportunity to treat those gathered with song Mravaljamier, meaning long life to everyone. So, these two and half hour flew by very fast and we think we managed to show our guests what qvevri wine is and how its entwined with other Georgian traditions. We were privileged to meet so many lovely people with a real interest in the event and we received excellent feedback on the real stars of the show, the wines themselves. It was heart-warming to see that UK consumers are positive about the qvevri wine, red and amber. Following on from a successful first event, we know that we are at the beginning of a long journey. Next time we would like to have a bigger venue to shorten the queues for wine tasters and further optimisation of the experience. Georgian wine has a way to go before it becomes a household name, despite the quality of the wine and the history of the Qvevri wine making process. As such, we will continue to promote these fantastic wines around the country and of course, we will hold the second London Qvevri Wine Festival in 2019. Meanwhile, the next event that we will be presenting at is the Wine Festival - Winchester on the 23rd and 24th of November. We hope to see you there so you can try our ever expanding range of high quality Georgian wines. Gaumarjos!